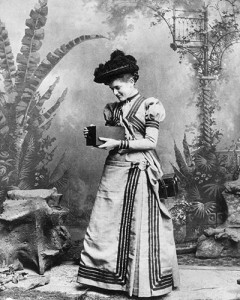 Ever wondered when the first ‘Kodak moment’ was? Well, it was in 1826, and was the result of the work of French inventor Nicephore Niepce. He spread a pewter sheet with some tar, inserted it into a box with a lens and positioned it in the window of his workroom. After eight hours, a permanent image had formed. But it was William Daguerre who developed the Daguerreotype in 1839, a commercial system that used silver iodide acting on a silvered copper plate. However, extremely long exposure times were required, a problem that was addressed by William Fox-Talbot in 1841. His calotype process used silver salt-soaked paper. Crucially, Fox Talbot realised that, before the salts visibly darkened the paper, a hidden image was formed. Moreover, this image could be revealed by the use of a developing solution, hence shorter exposure times. These paper negatives could then be used to make prints. Still, photography remained an expensive and complicated business, and anyone taking snaps’ would have incurred great cost in developing them themselves. In 1888, the Kodak camera, invented by George Eastman, changed all this. His camera came pre-loaded with film, and the user could return it to him to have the pictures developed and the film reloaded. Photos weren’t the only things to be developed: so too was an excellent relationship between Eastman and his bank manager, as all this made George plenty of money. process of perfecting the idea took a further three years. The secret was in an exposed negative that passed through chemical-covered rollers and reacted with them to produce a brown and white print. The camera was launched in 1948 and achieved astonishing commercial success.